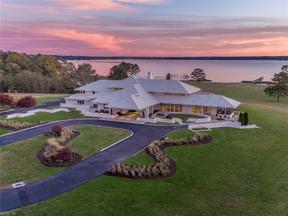 Overlooking the York River, this 40-acre estate is minutes from Williamsburg & a short sail to the Chesapeake Bay & the Atlantic Ocean. The contemporary home was built with a profusion of glass, rending breathtaking river views. Perfect for a private residence or corporate retreat, the estate has been decorated by experts and designed to indulge every whim. This Smart Home offers a vast array of functions for easy living and utmost convenience, enabling the owner to interact with the house & grounds from anywhere in the world. Some of the featured rooms include a Home Theater, an exercise room, executive office and a 1,800 square foot entertainment suite with lighted dance floor, pool table, full kitchen & subzero wine cellar. 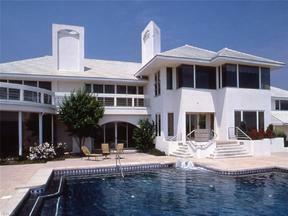 Secured grounds, a private sundeck, a tennis court, pool, private pier, stables, & a 2,200 sq. ft. workshop which would provide ample space for the car collector. Being sold fully furnished. Accessible by helicopter, it is also convenient to several airports.